Looks like night to me. Sun set the mountains afire. Good closing shot of hike. Very, very nice. 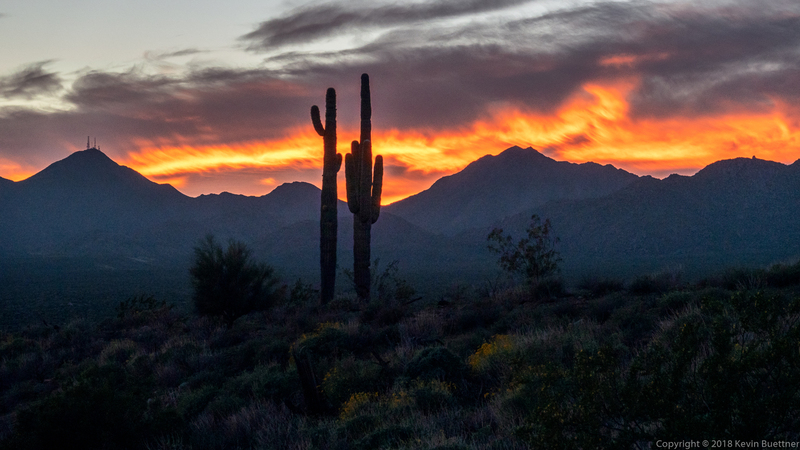 Stately saguaros framed by the brilliant sunset. Thank you.